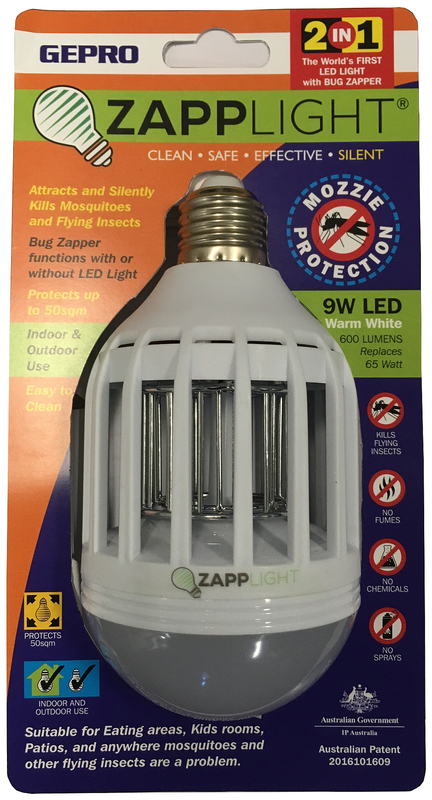 Replace your ordinary light bulb with Zapplight and stay protected from mosquitoes and flying insects! There are no chemicals, no sprays and hence no fumes with Zapplight. The light is inherently safe and easy to clean. Complete protection Day or Night.